AUGUSTA, Maine — Gov. Paul LePage has signed onto a Texas-led lawsuit to overturn the Affordable Care Act, saying it’s unconstitutional now that Congress has moved to repeal the key tax at the heart of the health care law enshrined by former President Barack Obama. The Republican governor and 19 Republican-led states filed the lawsuit on Monday in a Texas federal court against the administration of President Donald Trump — an Obamacare opponent — alleging that the 2010 law now “forces an unconstitutional and irrational regime” onto states. It revolves around the so-called “individual mandate,” a key provision in the Affordable Care Act making Americans have health insurance or face a penalty. But the Republican tax bill passed by Congress in December suspending the unpopular tax effective in 2019. The Texas-led lawsuit cited precedent from a landmark Supreme Court decision in 2012 that upheld the mandate as being within Congress’ taxation power, saying the rest of the law can’t be left in place because it is “not severable” from the tax. Slightly more than 79,000 Mainers had Affordable Care Act plans between 2016 and 2017, according to the Kaiser Family Foundation. LePage has vetoed plans to expand Medicaid five times under the law and is resisting implementing expansion under a law approved by voters last year. 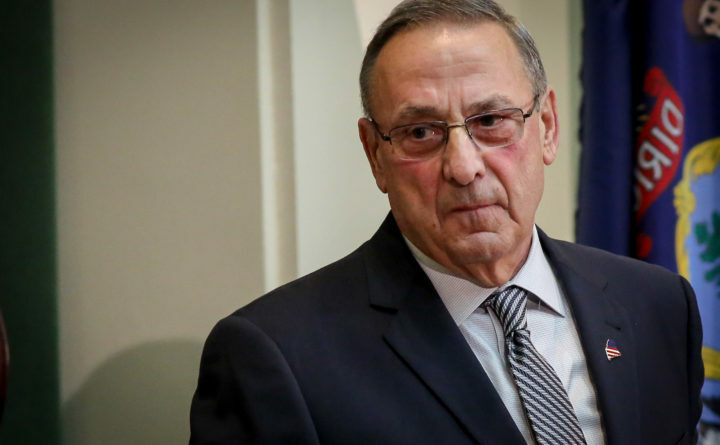 LePage signed on as an individual because he can’t represent Maine in lawsuits without permission from Attorney General Janet Mills, a Democratic gubernatorial candidate who the governor sued unsuccessfully last year over refusing to represent him in another lawsuit. A Mills spokeswoman didn’t immediately respond to a request for comment. Correction: An earlier version of this story misstated the day the lawsuit was filed. It was filed on Monday.